Mrs. Ross sends $5 for the anniversary year and her thanks for the pretty calendar. 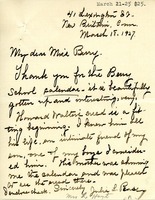 Mr. Saxe thanks Martha Berry for the calendar she sent and comments that she always sends such interesting gifts to subscribers. He sends a small volume of poems written by his uncle. 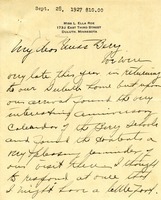 Schenck encloses a contribution and sends thanks for the calendar and blue book. Miss Roby thanks Martha Berry for the four 25th anniversary calendars she received and sends a check for $3 towards the Berry Schools. 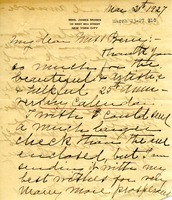 Richard Peters writes to Martha Berry to thank her for the calendar which was sent to his mother. He also inquires into whether or a not a trunk of clothes they sent to the school was received. 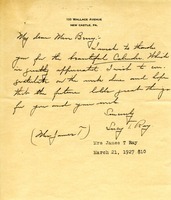 Peel sends thanks for the calendar and encloses a gift in honor of her mother, whose April 25 birthday was the same date as Berry's anniversary. 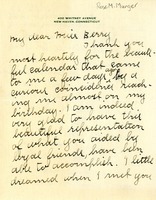 Lucy T. Ray thanks Miss Berry for a calender and congratulates her on her work, wishing her luck in the future. She also includes a $10 donation. 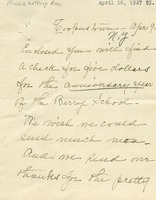 Rogers, secretary to Mr. Morgan, president of the University of Tennessee at Knoxville, writes to thank Miss Berry for the Silver Anniversary Calendar and promises to bring it to President Morgan's attention when he returns to his office. 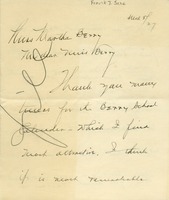 Rose M. Munger thanks Martha Berry for the calendar she received and informs Miss Berry that she has included the Berry Schools in her will. 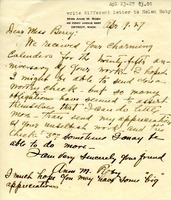 Mrs. Florence H. Norman writes to Martha Berry to express her appreciation of the calendar she has received. 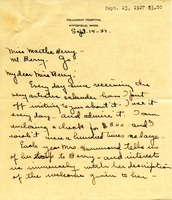 She encloses a check for $3.00 but wishes that it was more. 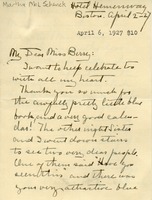 She also tells Martha Berry of Mrs. Hammond's stories of her yearly trips to the school. 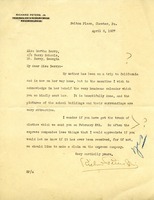 Mrs. Norman expresses her particular interest in the description that Mrs. Hammond gives of the welcome given to her upon arriving at Berry. 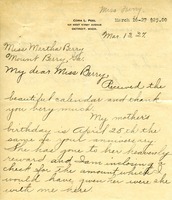 Mrs. James Moses thanks Martha Berry for sending her the 25th Anniversary Calendar of the Mount Berry Schools and, in return, she and her husband are sending ten dollars to the Berry Schools.